Howard Feller joined MMG Advisors, Inc. in 1999 after a 12-year career as an executive in the fashion accessories industry. 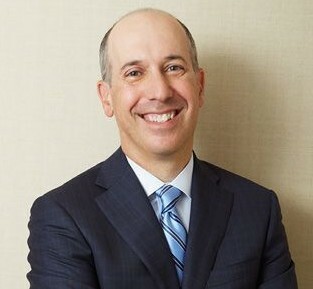 Mr. Feller has led a number of buy-side and sell-side transactions, including the sale of Michele Watches to Fossil; the sale of Avirex to Ecko Unlimited; the sale of Wilke-Rodriguez to Men’s Warehouse; advising Peace Mark Holdings on its China retail joint venture with Tourneau; and the sale of Capital Mercury Apparel to Paris Accessories. During his career, Mr. Feller has worked with some of the biggest names in the fashion industry. His background includes executive roles with two global watch and jewelry manufacturers and distributors, where he gained extensive expertise in merchandising, sourcing, international marketing and distribution, fashion licensing, brand development and management, and organizational development. Prior to joining MMG, Mr. Feller ran his own consulting practice, H. Feller Enterprises, which specialized in licensing and brand management for companies in the fashion and consumer products industries. From 1993 to 1998, he served as Managing Director of a new U.S. subsidiary of publicly traded watch and jewelry manufacturer Egana International Holdings. Mr. Feller started his career at the Swatch Group, the world’s largest manufacturer and distributor of watches. Mr. Feller received his Bachelor of Science Degree in Marketing from the State University of New York at Albany, and he has completed the DIS international business program at the University of Copenhagen.